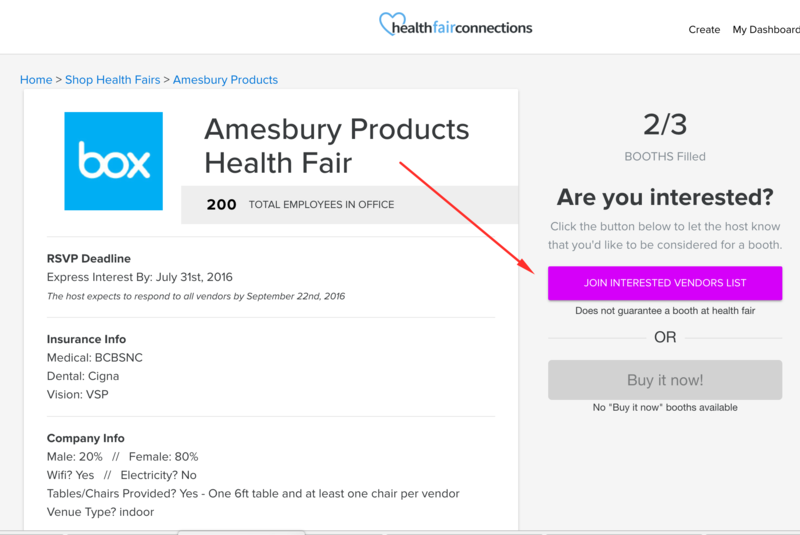 Health Fair Connections | How do I join vendor lists for different health fairs? Welcome To Health Fair Connections! You're about to join an ecosystem of 5000+ providers, nationwide - with over 300+ company health fairs listed in 2016. 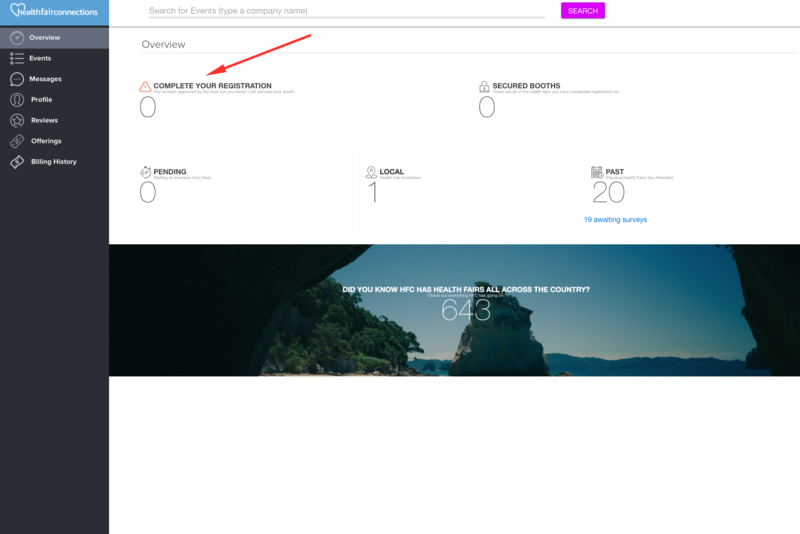 But before you can gain access and join vendor lists, you need to create a profile. Below are the 5 easy steps to join an interested vendor list for a particular health fair (and attend if selected). Create a free profile on healthfairconnections.com to gain access to all health fairs listed on HFC's platform. Once you log in, you'll be taken to your dashboard. Click “LOCAL” on your dashboard to see health fairs nearby, or click the large graphic button to see all health fairs listed on HFC, nationwide. Once you click "LOCAL" or the large graphic button, you'll be taken to a list of health fairs (listed chronologically). Click "view event" to gain access to that particular health fair's event page. Once on the event page, click “JOIN LIST OF INTERESTED VENDORS". You can pick the "low chance" or the "high chance" option (benefits of both are listed right there). Fill out the form (this info is what the hosting company will review before making their selection), and now you’re on the list of interesting vendors! The key word here is "wait." Give the hosting company time to review the list of interested vendors. They maybe even waiting for the list to grow before making their final decisions. HFC will do everything in our power to make sure the hosting companies make a decision and do not leave you hanging. Once they make a decision, you'll be emailed if you're chosen (or denied). If you never get approved or denied, this means that you were not selected for the health fair. DO not assume you can just show up if you never get an email. If approved by the hosting company (HFC has no control over who is selected), you'll receive an email asking you to complete the last step to officially register for the health fair. Don't assume by receiving that email that you're automatically added to the vendor list and event materials. You do not have a secured booth until you complete the last step of registration. The 5 easy steps to get on an interested vendor list for a particular health fair (and attend if chosen).